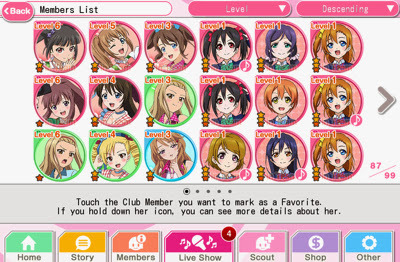 Love Live! 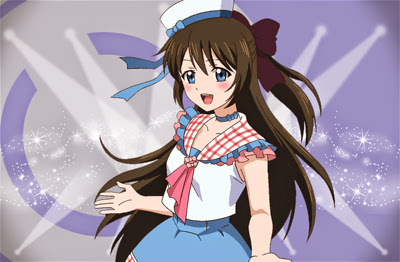 is a multi-media franchise project between a magazine, music label and an anime studio. 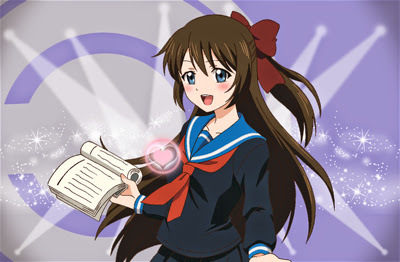 It includes music CDs, anime music videos, manga, anime, card games and video games. 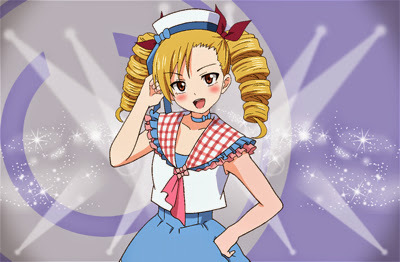 It is based around school girls becoming idol singers to help save their school! 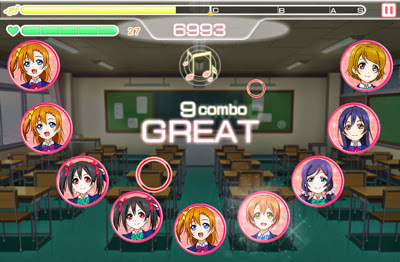 You can download and play the rhythm game Love Live! 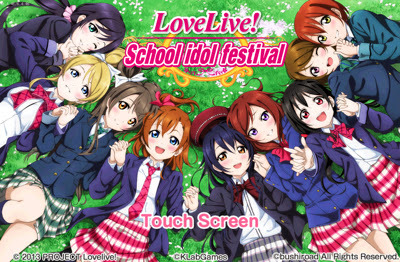 School Idol Festival on your iOS or Android device. 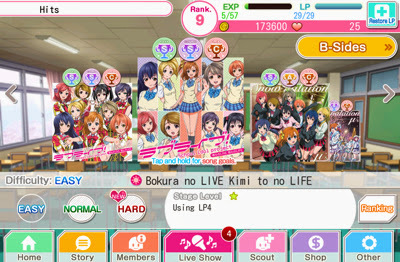 It's completely free to play, but you can buy Love Gems (the in game premium currency) through in-app purchases if you want - but there are plenty of ways to get Love Gems without paying, so don't worry! 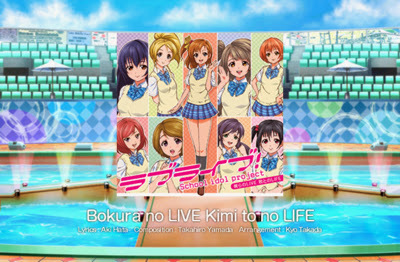 This is the front screen that appears once the game has loaded - it features some of the most famous and popular characters from the franchise. 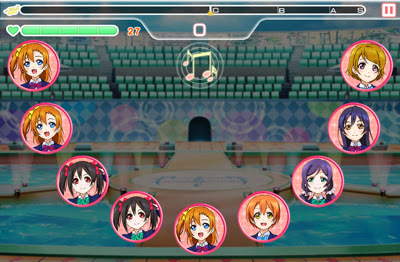 This is the main menu in the game - the character on the left is the leader for your currently selected idol team (in my case it's Nico Yazawa!). 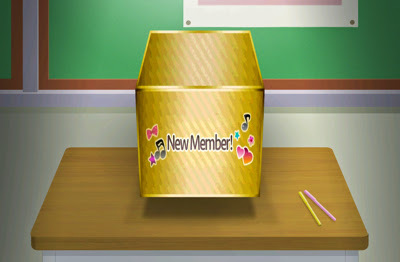 There are options to see the story (that unlocks as you progress), see your idol group members, take part in a performance or scout new group members. 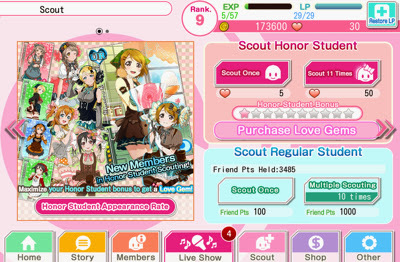 You can scout 'regular' students; one per day for free, but more with Friend Points that you get for playing and for logging in. 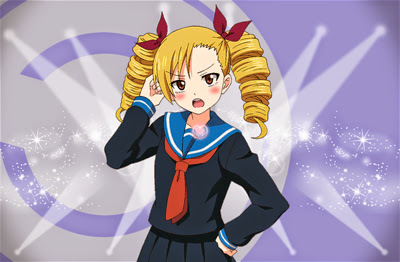 These regular students are usually basic ones, but you can sometimes get rare characters. 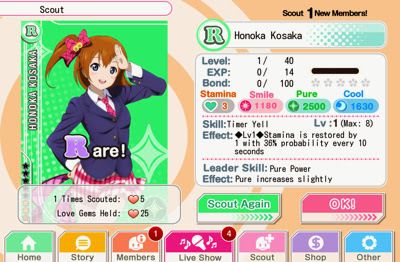 ^^ You can also use Love Gems to scout an 'Honor Student' - these are always at least rare, but can be ultra rare too! You can choose team members for different groups to maximise your performance power! Each student is rated as either Smile, Cool or Pure, which you can match to the different songs to find what works best. B! 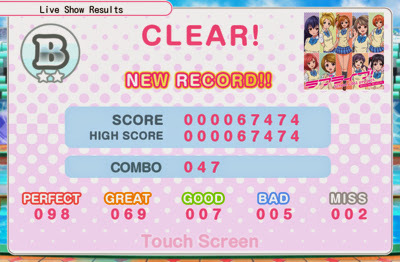 Not too bad, gotta try harder though! 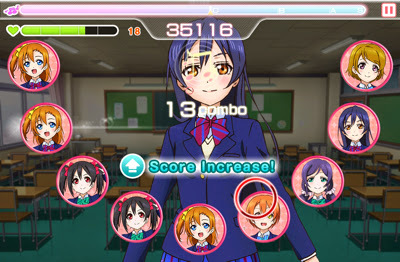 You get awards for score, combos etc - new students, friend points, gold etc. 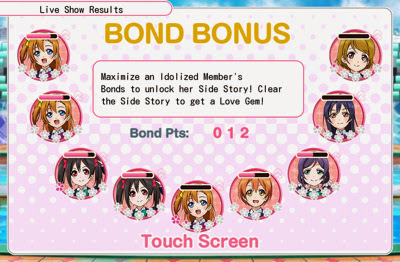 If you maximise your bond with an idol, you even unlock a Side Story for that idol! 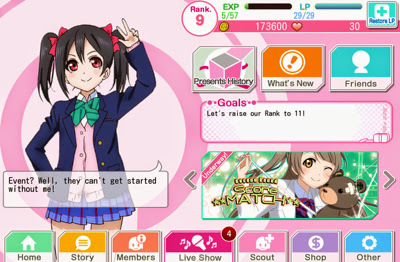 Overall this is a super kawaii game, especially for free! 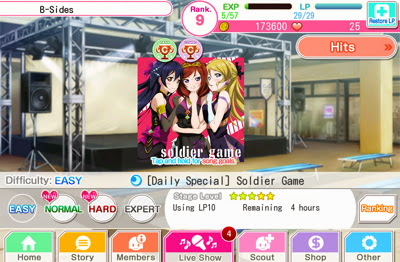 The characters' voices are so kawaii and the music is awesome too! 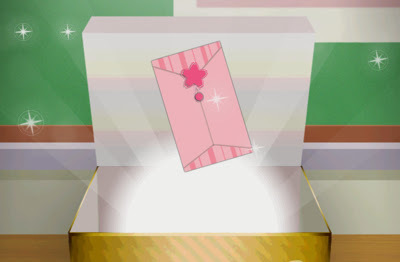 This blog is just for fun and is one of our Kawaii hobbies! All reviews are of actual products/services bought by us. Life in the Kawaii Lane never asks for or tries to get freebies from sellers in exchange for reviews or product mentions. We are not affiliated to any brands or sellers, and we never will be. We will never put ads on the blog. If we recommend a product or seller you can be sure it is because of the quality and service we have recieved as real buyers. We will not do sponsored reviews as we want readers to get a true and real review. Instax Mini 8 - a Super Kawaii camera!